Originally displayed in royal botanical gardens and greenhouses, bromeliads are now widely enjoyed. And this variety, with its rosy-topped flower stalk and pretty pot, will add a bit of exotic beauty to any home or office. 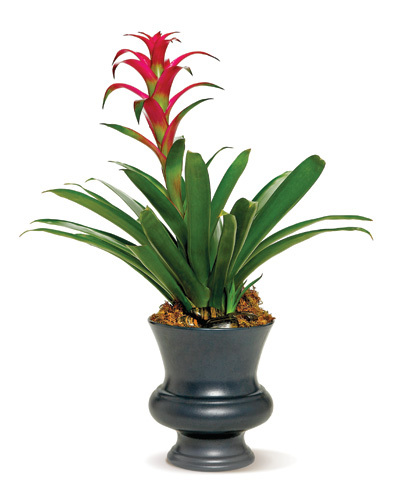 Purchase this red bromeliad for your loved ones! Four Seasons Flowers is your local San Diego Florist, offering same day delivery of our fresh blooms and top-quality service. Contact us today!